Finnish architect, educator, and critic Juhani Pallasmaa, Architect SAFA, Hon. FAIA, Int FRIBA, is a leading international figure in contemporary architecture, design, and art culture. Since 2008, he has served on the jury for the Pritzker Prize for Architecture. From 1991-98, Pallasmaa was dean and professor of architecture at the School of Architecture, Helsinki University of Technology. Previously, he served as rector of the Helsinki University of Applied Arts and professor of architecture at the Haile Selassie I University in Ethiopia. He has held visiting chairs of architecture at institutions in the Americas and Europe, including the University of Virginia, Catholic University of America, and Yale University. 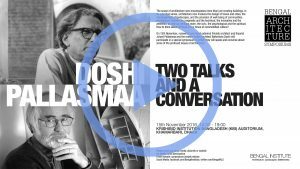 From 2001-03, Pallasmaa was the Raymond E. Maritz Visiting Professor of Architecture at Washington University; he has since continued to work with students in the Graduate School of Architecture & Urban Design’s Helsinki international semester program. Pallasmaa’s architectural practice spans projects in urban design; building design; and exhibition, product, and graphic design. His built works can be found in Finland, France, Slovenia, Russia, Ethiopia, and China. In the United States, his design for the Arrival Plaza at the Cranbrook Academy greets each visitor to the historic campus. 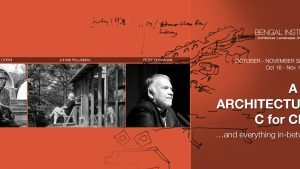 Awards for his architectural work include the 2009 Arnold W. Brunner Memorial Prize in Architecture from the American Academy of Arts and Letters, the Finnish State Architecture Award, the Helsinki City Culture Award, the Fritz Schumacher Prize, and the Russian Federation of Architecture Award. Pallasmaa is an Honorary Fellow of the American Institute of Architects and an Honorary Member of the Royal Institute of British Architects. In 1991, he was Finland’s architectural representative at the Venice Biennale. Throughout the 1970s and ’80s, Pallasmaa served as director of exhibitions and then as director overall of the Museum of Finnish Architecture, and further as state artist professor. In these roles, he organized, curated, and designed numerous exhibitions of Finnish architecture, planning, and the visual arts for national and international display, along with accompanying exhibition catalogs. Notable among these are The Language of Wood (1987) and Animal Architecture (1995). 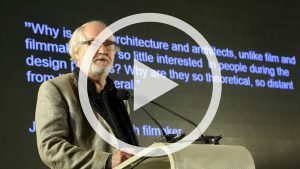 Pallasmaa is the author and editor of numerous books, including The Embodied Image (2011), The Thinking Hand (2009), Encounters: Architectural Essays (2006), The Aalto House (2003), Juhani Pallasmaa: Sensuous Minimalism (2002), The Architecture of Image (2001), The Villa Mairea (1998), The Eyes of the Skin (1996), and The Melnikov House (1996). The Eyes of the Skin, in particular, has become a standard text in studios and seminars around the world; a third edition will be published this spring by Wiley of London. 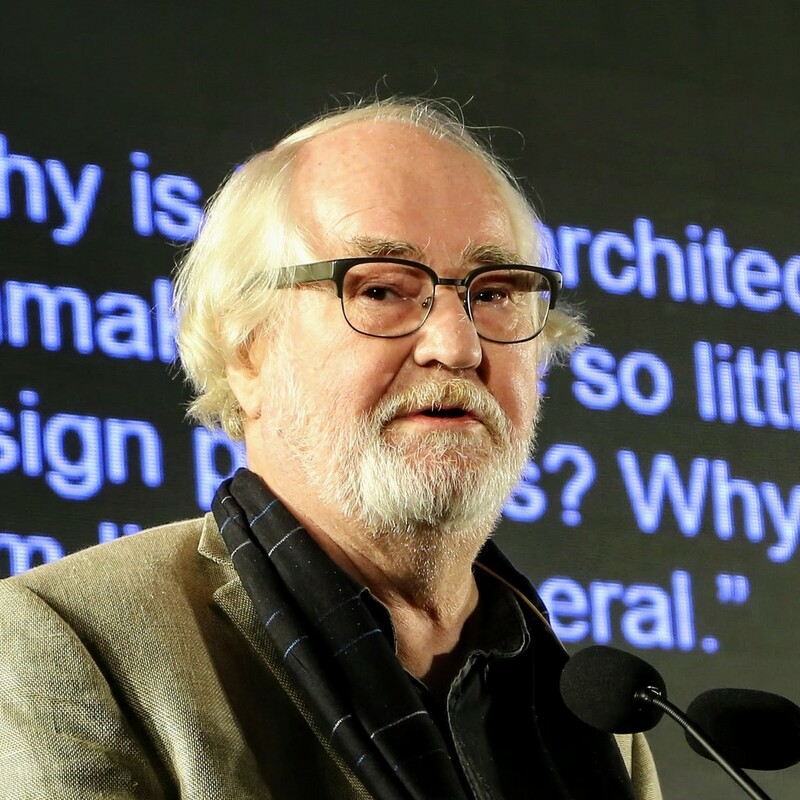 The 1999 recipient of the International Union of Architects’ Jean Tschumi Prize for architectural criticism, Pallasmaa has written and lectured extensively throughout the world for more than 40 years on architecture and the visual arts, on environmental psychology, and on cultural philosophy. In May 2012, he will be installed as Academician of the International Academy of Architecture.